Richards On China, SDR - "Next Panic Will Be Bigger Than The Central Banks"
Pfizer is now in advanced talks to buy Allergan, a rival drug maker, for as much as $150 billion and Petrobras is facing a $24 billion repayment over the next 24 months. Ameera David weighs in. Then, Ameera sits down with Jim Rickards – editor of Strategic Intelligence and author of “The Death of Money” – to talk about China. After the break, Bianca Facchinei takes a look at how ISIS makes its millions. Afterwards, Ameera and RT correspondent Manuel Rapalo discuss how the American Medical Association wants to ban direct to consumer advertising of prescription drugs. And in The Big Deal, Ameera and Edward Harrison talk about risky IPO investments. The price of oil hit the Saudi target price of $60 per barrel by the end of 2014. But it kept going down. The price hit $45 per barrel in January 2015 and $40 per barrel by this past summer. That was due to normal market overshooting and momentum trading. It was also due to the fact that desperate frackers actually increased production to meet the interest payments on their debt even thought they were in the process of going broke. The Saudis knew this was a temporary overshoot. The frackers could not get financing to drill new wells. Also, overpumping the existing wells would just make them disappear faster. As soon as the price of oil crashed, another human bias began to creep into Wall Street analysis. The same prominent voices that earlier said oil would stay high were now saying it would keep dropping! Some well-known analysts were calling for $30 per barrel oil; one analyst even set his target at $15 per barrel. These low-ball figures were just as much off base as the earlier expectations of $130 per barrel oil. In fact, the Saudis had things mostly under control. Using our market intelligence, we could see that when oil hit the $60 per barrel level (as it did in early May), it would soon head down again. When oil got too low (as it did in late August at $38 per barrel), it would soon head up. This analytical frame based on our intelligence sources has proved to be a highly accurate short-term predictive tool. Absent a geopolitical shock in the Persian Gulf, oil is not going to $100 per barrel, and it’s not going to $30 per barrel. It will remain in a range of $50-60 per barrel (with occasional overshoots for technical reasons) until 2017. That’s how long it will take to destroy the frackers. After that, the Saudis can gradually increase the price without having to worry about lost market share. This story has been bad news for frackers and even worse news for leveraged commodities traders such as Glencore. Are there any winners? The answer is yes, but it takes some detachment from the herd to see who they are. The oil industry is permeated in gloom right now because of oversupply and weak demand. Small producers are going out of business and a wave of energy-related bond defaults is about to wash over the fixed-income markets. Who wins in this scenario? The answer is that the major global oil producers win. They have the diversification, financial strength and hedging ability to weather the storm. The majors can bide their time and pick up oil assets for pennies on the dollar once the frackers file for bankruptcy. They also have close relations with the Saudis (through Saudi Aramco, the state-owned energy company of Saudi Arabia). This means that they are insiders when it comes to strategies such as the plan to destroy the frackers. Because of human biases and crowd behavior, the stock prices of the major oil companies have been beaten down along with the price of oil and the stock prices of smaller players. But the oil majors are in a league of their own and are positioning themselves to benefit from the rebound of prices in late 2016 and early 2017. The time to play this rebound is now, not when the crowd catches on. Economics has been greatly enriched by the spread of behavioral insights. 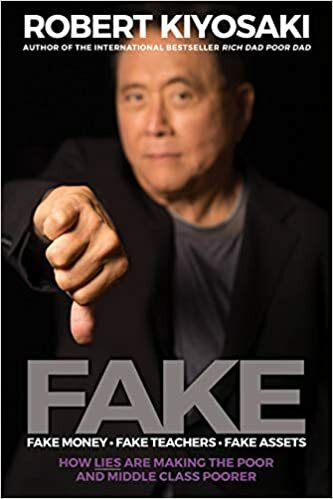 Until the 1990s, economic analysis was dominated by ideas such as “efficient markets” and “rational expectations.” These doctrines were based on the notion that people were robots and would act to maximize wealth in all aspects of their behavior. It was assumed that if markets were declining, rational investors would enter the market to scoop up bargains. This behavior would tend to stabilize markets and reduce volatility. It turns out that human behavior is far from “rational” (as economists define it). 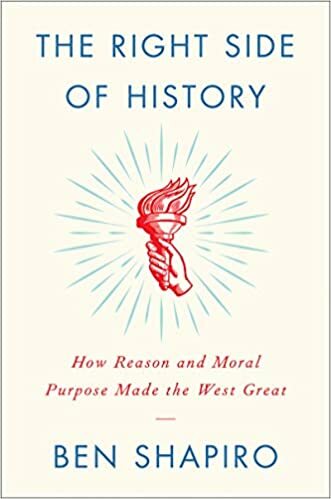 As the result of some ingenious social science experiments conducted by Daniel Kahneman and others in the 1970s and 1980s, it has been demonstrated that people act in accordance with all kinds of biases and irrational impulses. If markets are crashing, most investors will panic and dump stocks rather than look around for so-called bargains. More often than not, human behavior tends to amplify extreme movements rather than calm them down. These biases come in many forms. There is herding (the tendency to follow the crowd), anchoring (the tendency to give too much weight to a particular event) and confirmation (the tendency to embrace data that we agree with and ignore contrary data). If the crowd tends to be irrational, is there a way for you to remain focused and exploit the irrationality to your advantage as an investor? The answer is yes, but only if you can overcome the biases of human nature. You need to look for signals (what we call “indications and warnings”) that show you what is really going on. There is no better example of the tug of war between human bias and market fundamentals than the oil market. Remember $100 per barrel oil? It wasn’t that long ago. As recently as July 25, 2014, less than 15 months ago, oil was $102.09 per barrel. What kind of behavior did this high price produce? Many oil producers assumed the $100 per barrel level was a permanently high plateau. This is a good example of the anchoring bias. Because oil was expensive, people assumed it would remain expensive. The fracking industry assumed oil would remain in a range of $70-130 per barrel. Over $5 trillion was spent on exploration and development, much of it in Canada and the U.S. This led to a flood of new oil, which reduced the market share of OPEC producers. Saudi Arabia was losing ground both to OPEC competitors and the frackers. In mid-2014, Saudi Arabia developed a plan to destroy the fracking industry and regain its lost market share. The exact details of the plan have never been acknowledged publicly but were revealed to your editor privately by a trusted source operating at the pinnacle of the global energy industry. The Saudi plan involved a linear optimization program designed to calculate a price at which frackers would be destroyed. But the Saudi fiscal situation would not be impaired more than necessary to get the job done. A $30 per barrel price would surely destroy frackers but would also destroy the Saudi budget. An $80 per barrel price would be comfortable from a Saudi budget perspective but would give too much breathing room to the frackers. What was the optimal price to accomplish both goals? Such optimization programs involve many assumptions and are not an exact science. Yet they do produce useful answers to complex problems and are much more reliable than mere guesswork or gut feel. It turned out that the optimal solution for the Saudi problem was $60 per barrel. A price in the range of $50-60 per barrel would suit the Saudis just fine. That was a price range that would eliminate frackers over time but would not unduly strain Saudi finances. What makes Saudi Arabia unique among energy producers is that they actually can dictate the market price to some extent. Saudi Arabia has the world’s largest oil reserves and the world’s lowest average production costs. Saudi Arabia can make money on its oil production at prices as low as $10 per barrel. This does not mean that the Saudis want a $10 per barrel price. It just means they have enormous flexibility when it comes to setting the price wherever they want. If the Saudis want a higher price, they pump less. If they want a lower price, they pump more. It’s that simple. No other producer can do this without depleting reserves or going broke. Debt comes in many forms, including high-quality US Treasury debt, high-grade corporate debt and junk bonds. Debt is also issued by both US companies and foreign companies. Some of the foreign corporate debt is issued in local currencies and some in dollars. In discussing debt defaults, it’s necessary to keep all of these distinctions in mind. The US companies sitting on hoards of cash, such as Apple, IBM and Google, are not the ones I’m concerned about; they will be fine. The defaults will be coming from three other sources. The first wave of defaults will be from junk bonds issued by energy exploration and drilling companies, especially frackers. These bonds were issued with expectations of continued high energy prices. With oil prices at $60 per barrel or below, many of these bonds will default. The second wave will be from structured products and special purpose vehicles used to finance auto loans. We are already seeing an increase in subprime auto loan defaults. That will get worse. The third wave will come from foreign companies that issued US dollar debt but cannot get easy access to US dollars from their central banks or cannot afford the interest costs now that the US dollar is much stronger than when the debt was issued. The combined total of all three waves — energy junk bonds, auto loans and foreign corporations — is in excess of $10 trillion, more than 10 times larger than the subprime mortgages outstanding before the last crisis, in 2007. Not all of these loans will default, but even a 10% default rate would result in over $1 trillion of losses for investors, not counting any derivative side bets on the same debt. This debt will not default right away and not all at once, but look for a tsunami of bad debts beginning in late 2015 and into early 2016. My personal portfolio is a blend of cash, fine art, gold, silver, land and private equity. I do not own any publicly traded stocks or bonds, partly due to restrictions under various regulatory requirements applicable to my role as a portfolio strategist and newsletter writer. The mix in my portfolio changes from time to time based on valuations of the particular asset classes. My recommended mix is 10% precious metals, 10% fine art, 30% cash, 20% land and 30% alternatives such as hedge funds, private equity and venture capital. Currently, my personal allocation is overweight land, fine art and private equity and underweight cash and precious metals. However, this will change, because the fine art fund is currently making profit distributions, which are being reallocated to gold, at what I consider to be a good entry point, and to cash. All investors should be able to purchase precious metals and land and hold cash without difficulty. Alternatives such as hedge funds, private equity and venture capital are not open to all investors, because they are frequently traded as private funds limited to accredited investors with high minimum subscription amounts. There are also publicly traded equities such as high-quality bond funds and companies holding hard assets in energy, transportation, natural resources and agriculture. Jim Rickards appears on Russia Today, where he discusses global growth and the ongoing slowdown in China. Is the Death of Money on the way? 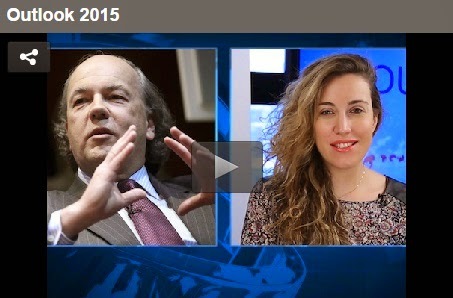 Jim Rickards tells Lelde Smits there is no way the US Federal Reserve will hike rates. Instead, Rickards believes the next move will be easing in March 2016 and predicts the impact on markets, metals and currencies. 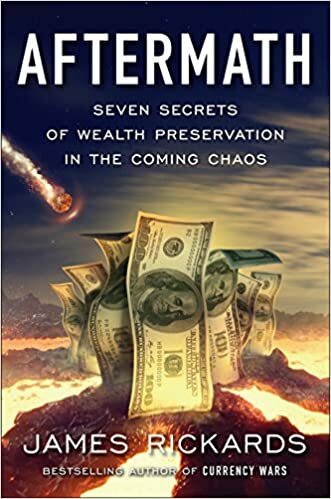 Author and monetary expert Jim Rickards says that gold, apart from its qualities as a form of insurance against conventional economic crises, is an essential hedge against cyber warfare. In an interview with Henry Bonner at SprottGlobal.com, ahead of the Sprott-Stansberry Vancouver Natural Resource Symposium taking place this week, Rickards said this subject would form part of his talk at the conference. We have frequently covered the risks posed by cyber warfare and cyber terrorism to markets, investments and deposits, and these risks remain, as yet, widely underappreciated in the mainstream media and the wider world. For example, the Stuxnet virus believed to have been deployed by the U.S. and Israel in cyber war against Iranian nuclear reactors almost caused a major environmental disaster in 2010. Dormant malware – believed to be of Russian origin – was found hidden and awaiting activation in the software that runs the Nasdaq exchange. Moscow-based Kaspersky Lab showed earlier this year that an international team of hackers gained access to bank’s customer accounts – with the ability to alter account balances without the banks even being aware of their presence. These examples show the highly vulnerable nature of the interconnected systems upon which people in the west have come to rely. He believes that the Greek crisis was a foreseeable step in the centralisation of power in Europe. In 1992 when it was agreed to launch a single currency there was an appetite for a common currency but a strong aversion to fiscal and political union. The architects of the euro knew that the single currency could not exist indefinitely in the absence of fiscal union and so the project was launched in full anticipation of a crisis which could then be used as a “forcing strategy” to achieve fiscal union. He believes that there has been a lull in the currency wars between China and the U.S. but that it will likely resume next year if China manages to get the yuan included in the currency basket that makes up the SDRs at the IMF. He says the U.S. is the gatekeeper of the IMF and so China is on its “best behaviour”. He says the Chinese are resisting the temptation to depreciate their currency despite a sluggish economy with this goal in mind but that once the objective has been achieved it will go back to currency manipulation. He points out that the Chinese continue to accumulate large volumes of gold and that China’s stated gold reserves are an understatement. He emphasises, however, the importance of holding physical gold as opposed to digital or paper gold. Rickards is correct in these warnings. If you cannot visit, hold and easily take delivery of your gold in the event of a “catastrophic event” then you do not own gold – rather you are speculating on the gold price. All financial service and investment providers and indeed gold brokers are at the mercy of and dependent on technology today. However, if you only have one point of contact with your gold – a website – and you cannot buy, sell or take delivery of your gold then you do not own gold as financial insurance and a safe haven asset. How China's Devaluation Impacts the U.S. In case you missed it, watch my new interview with Fox Business’s Deirdre Bolton. We discussed China’s economy and the currency devaluation of the yuan, and how it will effect other Asian and Western currencies. China’s currency devaluation is a confirmation that the world’s second-largest economy could be on the verge of an economic collapse. At least, that’s the opinion of renowned analyst Jim Rickards. The Chinese economy is slowing down faster than many economists thought before. China’s exports declined significantly and the country’s stock market crashed by more than 25%. In only a few weeks, this wiped out nearly $4.0 trillion of investors’ wealth. Authorities in China devaluated the yuan to boost the struggling economy and repeatedly said it would be a one-time devaluation. “Currency wars have no logical conclusion except systemic reform or systemic collapse,” Rickards continued. He believes currency wars which started in 2010 with devaluation of the U.S. dollar could last a long time. He suggested that there are only two solutions to make peace in the intensifying currency wars. In respect to the possible interest rate hike in the U.S., Rickards thinks that the economic condition is much worse than people think and raising rates could create many more problems. 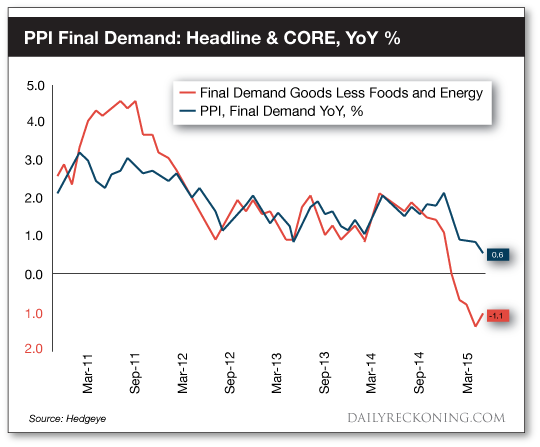 “Raising rates are deflationary,” he warned. The Federal Reserve is expected to raise the interest rate in September. But recent economic data suggested that the skepticism has grown over the Fed’s crucial decision. “There is no way that the Fed can raise rates,” he added. When the world’s largest economy has grown less than 1.5% this year and the second-largest economy is slowing down dramatically, the whole global economy may be on a verge of an economic collapse. But elites do not operate on the big bang theory. They do not announce radical changes overnight. They prefer to make small moves, year after year, through boring technical changes that few notice or understand. The elites have a plan to take your money. Yet they prefer a slow orderly approach, opposed to a rapid disorderly approach. Here is a step-by-step walkthrough of what is really happening. You should not be frightened by the October scare tactics. You should be concerned about this long-term elite plan to destroy your wealth. The centerpiece of the elite plan to wipe out debt and destroy wealth is the world money issued by the International Monetary Fund, the IMF. This world money is called the special drawing right, or SDR. The SDR is actually not that complicated. The Federal Reserve can print dollars, the European Central Bank (ECB) can print euros and the IMF can print SDRs — it’s that simple. The main difference is that we can keep dollars or euros in our bank accounts or wallets, but SDRs are for countries only. They are added to national reserves by the IMF. SDRs can be swapped for dollars, euros, yen or other major currencies using a secret trading facility inside the IMF in Washington. So the inflationary potential of printing trillions of SDRs is the same as printing trillions of dollars or euros once the recipients make the swap. The main difference between SDRs and dollars or euros is that no one is accountable. When the IMF floods the world with SDRs, you won’t be able to blame the Fed or ECB. Few people will have any idea what’s happening. They’ll just find out the hard way that their savings have been wiped out by inflation. Sept. 30, 2016 — New SDR goes into effect. The first thing to notice about this schedule is that it blends events from the Fed, the White House and the IMF. That’s a reflection of the fact that the IMF is closely coordinating its efforts with central banks and heads of state. In the past, the U.S. Treasury was the primary agency involved with the exchange value of the dollar. The Fed focused on the U.S. economy but did not involve itself with the dollar in international markets. That has changed. When I met Ben Bernanke in Korea recently, he told me he was heavily involved in discussions with the IMF in 2009 and 2010 on a variety of issues including IMF voting rights, issuance of SDRs, U.S. funding of the IMF and an increased voice for China. This four-way interaction of the White House, Fed, Treasury and IMF is now well entrenched. Right now, traders and investors are focused on the Sept. 17 Fed meeting. Most observers expect the Fed to raise interest rates at that meeting. Fed Chair Janet Yellen has given markets little reason to think otherwise. But the data tell another story. China’s growth is collapsing and the world is slowing down with them. The U.S. is not immune to this global slowdown. The Fed has an inflation goal of 2%, but the inflation measures watched most closely by the Fed are nowhere near that. The core personal consumption expenditure index is about 1.3%, is trending down and has not been over 2% since 2008. The U.S. employment cost index, another potential inflation measure, is also trending down and recently collapsed to a 0.2% level. Average hourly earnings have increased at an annual rate of 1.75–2.25% since 2012 and have lately moved down; after adjusting for inflation, those earnings have shown about zero real gains. But there’s another reason Yellen won’t raise rates in September, and it brings us back to the SDR story. Right now, the value of one SDR is determined by reference to the dollar, euro, yen and sterling under a mathematical formula. China would like their currency, the yuan, to be included in that basket. By itself, including the yuan in the SDR basket will not disrupt the international monetary system and will not overthrow the dollar as the leading global reserve currency. But it is an important sign of respect and does represent enhanced prestige, which China desperately wants. Economic Crisis in America and Europe & Crisis Oil Prices Jim Rickards on Economic Crisis in America and Europe & Collapse Oil Prices Gerald Celente: The Next Financial Meltdown? WW3? Breakdown of Society? ‘How many times have you heard the phrase “bond bubble” in the past three years? 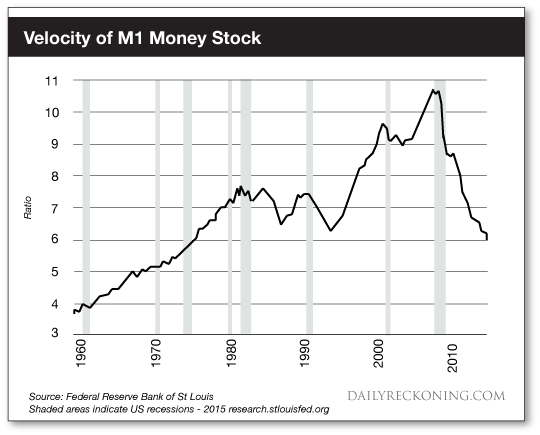 ‘The next financial collapse, already on our radar screen, will not come from hedge funds or home mortgages. It will come from junk bonds, especially energy-related and emerging-market corporate debt. ‘The Financial Times recently estimated that the total amount of energy-related corporate debt issued from 2009–2014 for exploration and development is over US$5 trillion. Meanwhile, the Bank for International Settlements recently estimated that the total amount of emerging-market dollar-denominated corporate debt is over US$9 trillion’. Which Will Happen: QE4 or a Fed Funds Rate Hike? A sharp sell-off in major eurozone bond markets deepened Thursday as rising oil prices and a stalemate in Greece’s funding talks raise questions about the sustainability of record low borrowing costs. The decline sent yields on Germany’s 10-year bond – the region’s benchmark sovereign securities – to the highest levels seen this year. German 10-year bond yields climbed seven basis points, to .59%. Erin weighs in. Then, Erin sits down with Jim Rickards – chief global strategist at West Shore Funds and author of “The Death of Money.” Jim tells us what the likelihood of the Federal Reserve raising rates or reverting back to the QE is and gives us his take on why the US economy is faltering. 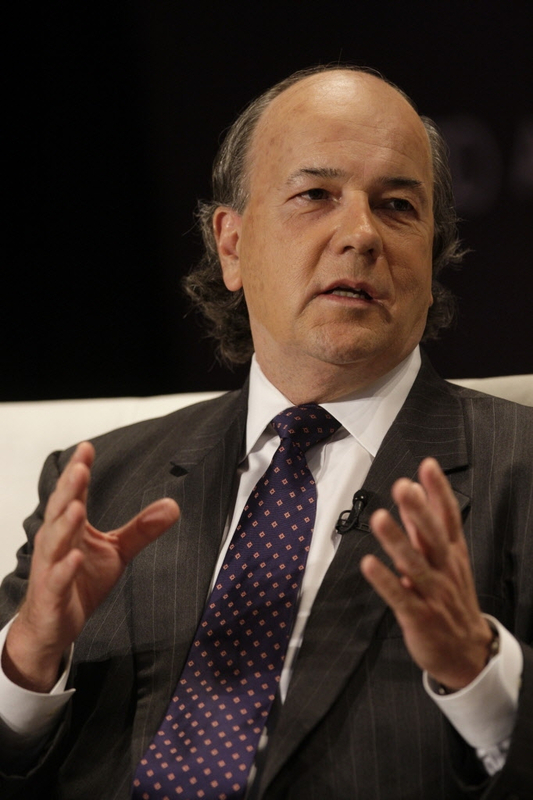 JIM RICKARDS : The Smartest Man in the FINANCIAL WORLD Stansberry Research. Jim Rickards is a financial lawyer with a doctorate and other advanced degrees. He’s a New York Times best-selling author and a hedge fund manager. He's been sought out for his currency expertise by: CNBC, Fox, CNN, NPR, the Financial Times, the New York Times and the Washington Post, just to name a few. And he serves as an advisor to the Office of the Director of National Intelligence, which oversees the CIA, the NSA, and 14 other U.S. intelligence agencies. Erin sits down with Jim Rickards – author of “The Death of Money” and chief global strategist at West Shore Funds – to discuss the US and Europe. In October, data coming out of the US demonstrated lower mortgage yields and a surge in refis added to 4-year lows in gas prices to give consumers more disposable income. Jim tells us what he thinks of the new data and also gives us his thoughts on divisions at the ECB. He also projects how far Chinese growth will have to fall in order to make a successful rebalancing a possibility and gives us his prediction on what will happen if oil prices continue to stay weak. Inflation in Japan dropped to a 14-month low in the month of November. The disinflation comes as a relief to consumer who, since April, have been struggling with an increased consumption tax, which put a squeeze on many household finances. It was the first consumption tax in 17 years. However, the latest fall in the core consumer price index – to 0.7% in November, down from 0.9% in October – will cause some concerns for the central bank, which has staked its credibility on hitting a 2% inflation rate within two years. Erin weighs in. Then, Erin is joined by Jim Rickards – chief global strategist at West Shore Funds and author of “The Death of Money.” Jim tells us if he thinks the Ruble rout is a crisis similar to those of 1998 or 2008 and gives us his take on the strong dollar. After the break is Defining Moments, featuring comments made by recent Boom Bust guests David Collum, Jim Grant, Steve Hanke, Eswar Prasad on IBM, the Federal Reserve in 1920, emerging markets, Raghuram Rajan, and US GDP. And in The Big Deal, Erin and Edward Harrison are taking a look at some of the biggest deals of 2014. Enjoy!